Don’t toss that in the trash! 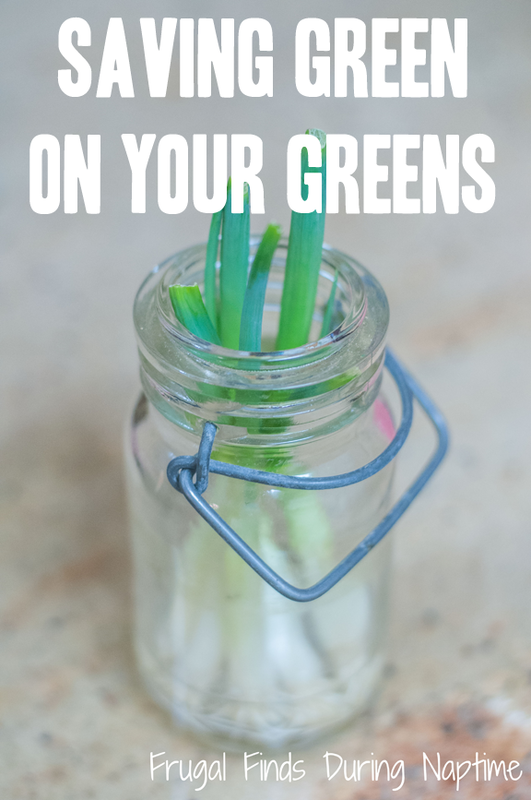 Here is a simple tip that you can put into practice to save some money on your fresh produce! The next time you buy green onions may be your last (for a while at least!) 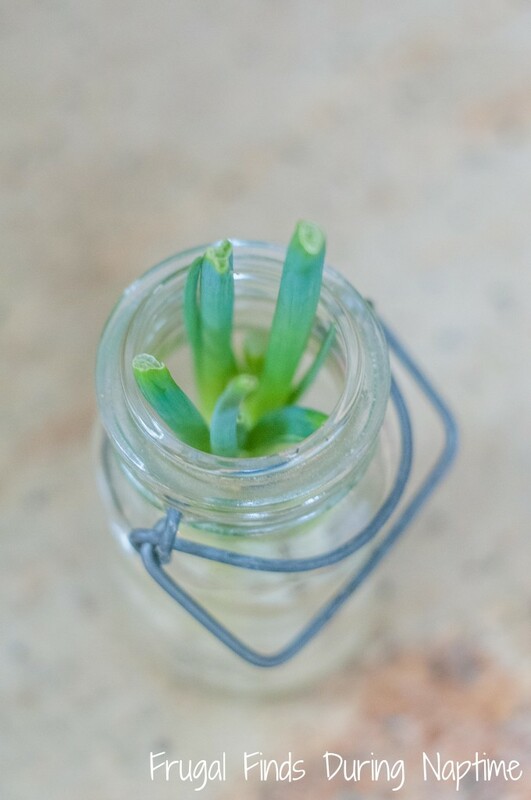 When you chop the root ends off your green onions, stick them in a small glass container or cup with a little water in it and place them in your kitchen window. 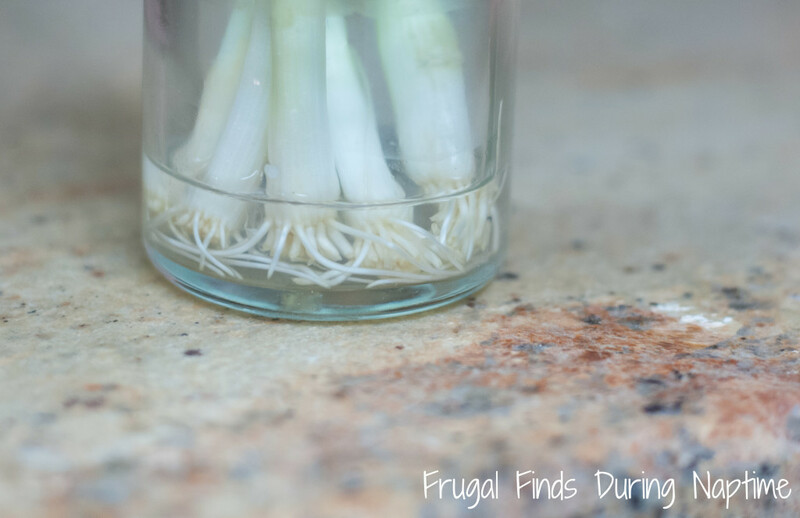 You will have new onions sprouting out in no time ready to be chopped again! Your little onions are also kinda cute sitting in your window while they grow! As a bonus, you can teach your kiddos about how plants grow and they can watch it happen right before their eyes! Ta-da! I just saved you at least a few bucks a week if you snag these for your salads often! Enjoy! Thanks for the tip. I am 60 and never knew is/ I know sounds weird but grandma never mentioned this if she knew. I LOVE Frugal Thanks Again.